The publication by the Guardian in the UK from mid-2013 of secret intelligence documents leaked by the former NSA contractor Edward Snowden was highly controversial. The newspaper was attacked by the UK government, intelligence chiefs, some other news media and a range of other critics for publishing the previously secret documents. The Snowden affair was just the latest episode where the news media sought to publish information about intelligence operations, usually revealing some area of significant concern, in the face of government objections. In each case negotiations between the state and the news media have been adversarial. At the heart of this reoccurring problem is the balance in liberal democracies between national security and the freedom of the press to inform the public over matters of concern. This involves a complex set of ethical issues. This paper seeks to lay out the ethical terrain for this discussion incorporating the emergent discipline of intelligence ethics. The paper also takes the first steps in discussing a bipartisan framework for an ethical relationship between intelligence agencies and the news media that would allow accurate information to enter the public domain without recklessly jeopardising legitimate national security. It examines the various bodies that could act as an honest broker between the two sides but concludes that identifying such an organisation that would be trusted at this time is difficult. PL has article on The Conversation on new released Nuclear Target documents. 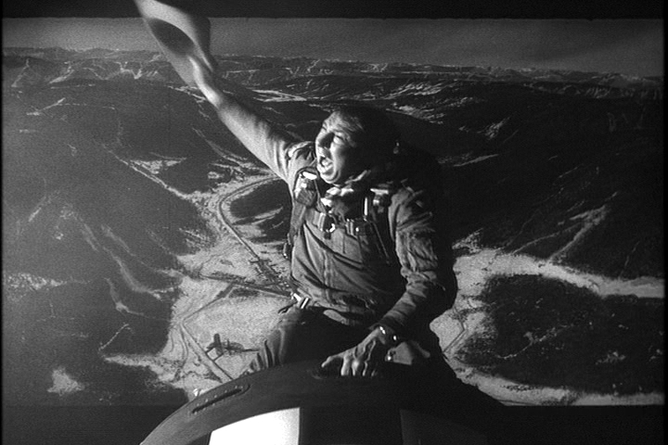 Those who have written about the nuclear Cold War remain grateful to Stanley Kubrick for giving us the satirical 1964 film Dr Strangelove which captures the madness that swept the world for 40 years. The name Strangelove may be overused but the United States has now released a secret file that really does justify the sobriquet: “Stranger than Strangelove”. Almost anodyne in title, Atomic Weapons Requirements Study for 1959 is a truly shocking document, revealing the scale of the holocaust that would have been unleashed in a nuclear war. The “Big Brother” comprehensive national database system feared by many MPs has been built behind their backs over the last decade, and even has a name for its most intrusive component: a central London national phone and internet tapping centre called PRESTON. PRESTON, which collects about four million intercepted phone calls a year, has also recently been used to plant malware on iPhones, according to disclosures by former NSA contractor Edward Snowden. The phones were then targetted for MI5 “implants” (malware), authorised by a ministerial warrant. Reporter Andrew Jennings has been investigating corruption in world football for the past 15 years. He has exposed the criminality of Fifa executives and repeatedly challenged its president to come clean. Oborne’s excellent programme resonates with this week’s politics. I happened to listen on Wednesday to Peter Oborne’s excellent R4 programme from late October on the ‘unofficial’ Chilcot Inquiry. What really struck me were the similarities of the politics of the Iraq invasion with this week’s vote on airstrikes. In particular whether military action makes the UK safer or not. There was the same handwringing, hairy chested posturing in the name of improved national security. The scale of Iraq of course was much greater and the scale of the failure is at the end of the Richter Scale. It is worth mulling over the then head of MI5’s words at the time. From the Programme: Baroness Manningham-Buller has refrained from speaking to journalists but told the Chilcot Inquiry that senior government figures had been warned before 2003 that invading Iraq would increase the terrorist threat to Britain. She told the inquiry that in the event, the threat increased “substantially”. “The fact is that the threat increased, was exacerbated by Iraq, and caused not only my service but many other services round the world to have to have a major increase in resources to deal with it. “In 2003, having had an upgrade in resources after 9/11, which my predecessor agreed, and another one in 2002, by 2003 I found it necessary to ask the prime minister for a doubling of our budget. It seems on the question of the threat EMB was right. Blair and team did not listen to this and any other sensible advice and the state of exception in the UK we now live in was much exacerbated by the invasion and in addition it created the conditions for the rise of Daesh. What baffles me is that why anyone in the news media takes Blair’s opinions seriously or worth publishing. His error of judgement was as serious as Eden’s over Suez or Chamberlain’s over Hitler. He should be reflecting in a monastery not giving speeches. All history suggests that military intervention triggers the law of unintended consequences and whether it works or not seems be a random statistical chance.